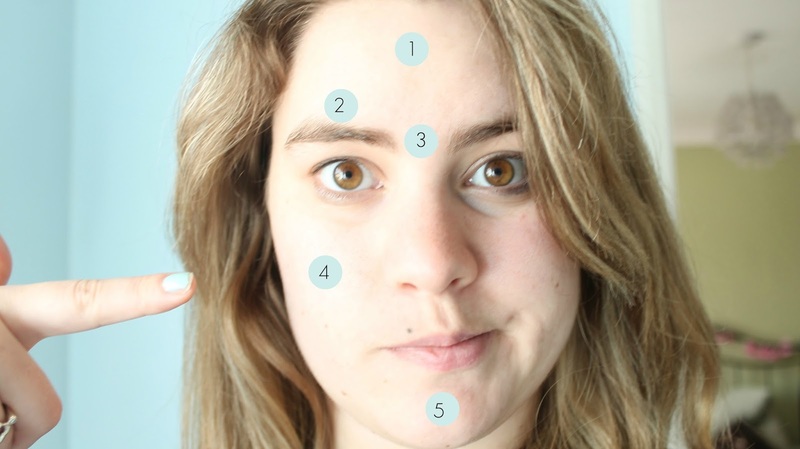 I've always been one that gets spots and breakouts and I've never really known what to do about them. I knew a couple of things such as around the mouth is hormonal but otherwise I'm a bit oblivious. Surely if you know what is causing them you can do something about it? That's my theory anyway. So I spent an evening doing some research and decided to pop this post together so that I have something to reference back to, but also so you guys can get a little more in the know as well - I've done the leg work for you! I also thought it is the perfect post to along side the recent trend that is no makeup selfies for Breast Cancer... if you haven't already done this please do so! It's for an amazing cause... You can see my no make up selfie here... Or just look above - this is my very brave and scary no make up face with a DSLR... Why lisa why!? I promise I haven't edited (apart from popping the numbers on my face) or put a filter on this picture. I'm sorry... Anywho, enjoy the post!! It's quite rare that I personally get any breakouts over my forehead, but it does happen and I know a lot of people that it happens to fairly regularly. It's quite a problem area! From my research I've found that when you get breakouts on your forehead it is usually triggered by stress of sleep deprivation. I tend to get some little spots above and in the brow itself, incredibly annoying and irritating to my skin and I actually hate them. These breakouts represent your immune system. They tend to pop up before, after or during a cold or flu. I'm surprised I don't get too many around this area when I read what it's down to - really I should be exploding from this area (nice image for you guys!). Basically, this is down to overindulgances, so if you've been on a night out or just eaten a load of suggary snacks recently, that's why they've popped up. I don't get a lot of breakouts here at all, probably ever really. The only time I seem to ever get them here is if I'm using a foundation that doesn't agree with my oily skin. However, apparently if you get them here it's down to your lung quality - basically either you smoke or you're breathing polluted air, eek! Now this is where I get the majority of my breakouts, not fun in the slightest. 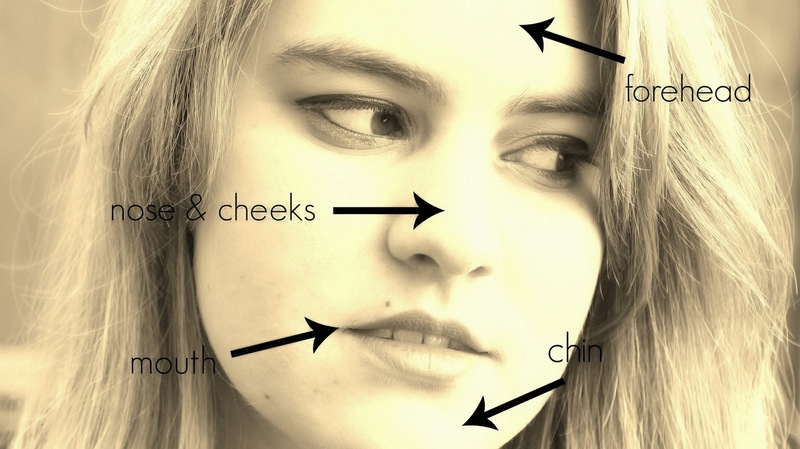 Basically your chin is affected by your hormones, in particular the sides of your chins. What I find really interesting is you can see which ovary you're releasing your egg from by which side of your chin is flaring up - yup, definitely the most interesting thing I've found out in a while. I honestly believe that if you know what is causing your breakouts you can combat it. I think that's what I find really annoying about mine is that it's all hormonal and I can't really do much about the fact that I'm a woman... But I can keep my skin as clean as possible! This week I'm going to be doing all about skincare - face and body. Tomorrow I'll be looking at my blemish busting products. Where do you get your spots from?